At the recent LA Auto Show, which some readers may have been lucky enough to attend, BMW unveiled their plans for a redesigned 7 Series luxury sedan. While many are probably wondering how this flagship model could get any better, all it takes is one glance to notice the differences. We're excited about all that this new luxury sedan has to offer, and we think many drivers around Studio City will be too once they learn more about it, which they can do when they read the info below. 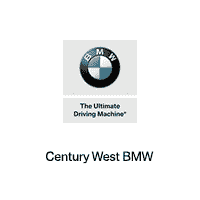 And, be sure to check out the video from BMW above! What's in the New BMW 7 Series? One of the biggest updates in the new luxury sedan, especially for drivers around Los Angeles, is the introduction of a plug-in hybrid system for the BMW 7 Series. Performance is still a vital part of this model, but this powertrain gives you the ability to cruise using just electricity, which eliminates emissions in that specific mode. Of course, car shoppers will still have six-, eight, and twelve-cylinder engine options with heart-racing sounds and feel. Additionally, a new design allows for updates to a variety of systems. BMW's newest infotainment system, iDrive 7, comes in the sedan, and it's more responsive to your touch while adding more features. Speaking of ease of use, various climate controls and other dials are closer to the driver, so making adjustments for a perfect ride is simpler. Plus, the exterior makes changes to the grille and taillights while keeping the athletic yet relaxed look that draws drivers to it in the first place. Whether it’s the new features, look, or plug-in hybrid powertrain that has you interested in the new BMW 7 Series, you should visit our dealership to talk with our staff about its arrival and amazing aspects!